You needn't bother reading any of this if you are just downloading this mod for personal use! Of course it all still applies, it's just that you're unlikely to be affected by anything here. 1. You may alter this mod for personal use only. 2. You must not redistribute (upload/share) this mod without my consent. 3. You cannot use these assets in other mods without my consent. - If given permission, you must not modify these assets when including them in other mods. - If given permission, you cannot monetize this mod (this includes donations). 4. You may release compatibility patches for this mod. - Permissions must be obtained from me in advance. There are no exceptions to this. - The documentation for the patch must mention that I am the creator of this mod. - The documentation for the patch must contain a link back to this mod's Nexusmods page. - You are solely responsible for any support issues arising from the use of the compatibility patch. 5. You may not release localizations for this mod, I will create them myself if I choose. 6. You may use this mod in other creative works (e.g. YouTube videos) that are subject to ad revenue, as long as this mod isn't the focus of the video. 7. You may contact me with a request to amend any of the above permissions for this mod, but of course I am not obligated to accept. 8. If I have granted you any of the permissions above that are dependant upon contacting me, you must include a link to this mod's Nexusmods page in your work should it feature or include this mod. Alternatively, if I explicitly allow it, a simple credit to JimbobJeffers will suffice instead. 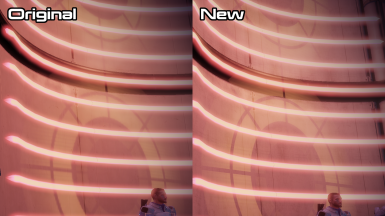 Holograms HD is not associated with BioWare Corp. or Electronic Arts, Inc. This mod is supplied for free; I make no money from this project. This mod comes without any warranty, to the extent permitted by applicable law. This means you use it at your own risk; I am not responsible for any damage to your game or PC by use of this mod. All inquiries regarding this mod must be directed to JimbobJeffers via Nexusmods. All permissions associated with this mod must be continued to be observed regardless of my presence or absence. As an exception to this, if after one year contact cannot be established or you have not received a response, then any permissions in this document that are dependant upon contacting me are revoked for as long as I am absent. A good faith effort must be made before assuming that contact cannot be established or concluding that I am no longer maintaining this mod. 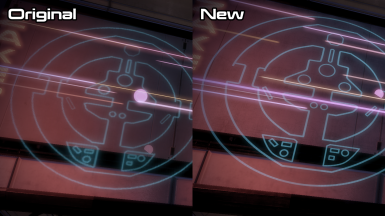 Holograms are all over the Mass Effect world, and this mod intends to make them look better. 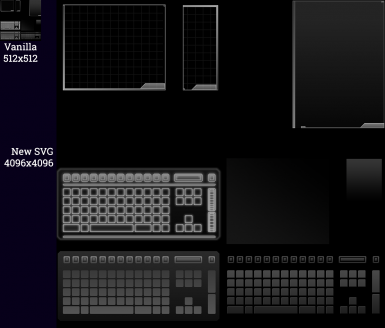 All textures are being redrawn from scratch as SVGs to be exported at any resolution desired. No more jagged edges! Currently 11 textures are done, with more on the way, but it takes a lot of work to create them accurately to the originals. 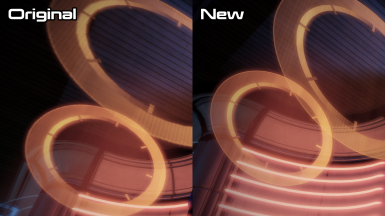 Check out the images for comparisons. Enjoy! 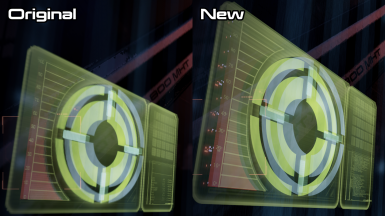 For quick and painless installation of the mod, I recommend using Mass Effect Modder. You can find a tutorial for it here. An alternate download is included with the .dds files, for installation with other software like ME3Explorer. Note that this mod is already included with ALOT for ME2.